We love our Belfast city centre location but we understand that due to your location, schedule, or indeed exasperation with city centre traffic and parking, that it may not always be possible for you to meet with us in person. At MKB Law, we place emphasis on progress and innovation. So we are delighted to provide clients with online instant video communication with our team of lawyers. 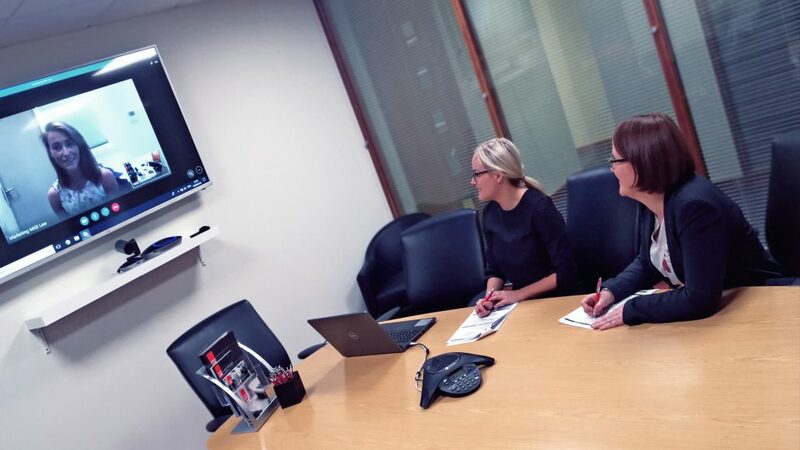 Our dedicated Skype conferencing facilities allow you to meet with us at a date, time and location that is convenient to you. Flexibility – meet us online whenever it suits you! Our Skype consultation services are especially suited for conveyancing clients. We understand that when you buy or sell your home you want to avail of the best conveyancing services possible; something that a regional firm may not always be able to offer. At MKB Law, our experienced resi-property team will provide a prompt and efficient service. So if you find you are unable to make it to our offices, then your consultations with our team can be conducted online at your convenience.